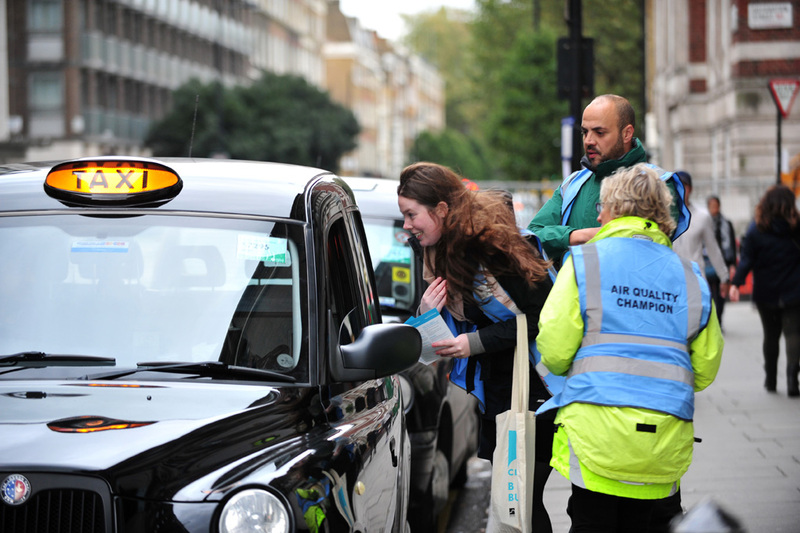 As one of the partners in the Marylebone Low Emission Neighbourhood recently awarded £1m by the Mayor of London, Marble Arch London took to the streets with others across Marylebone on 21 October, to raise awareness of engine idling and to give practical advice to drivers. Poor air quality is a major concern for Londoners. Traffic is one of the major causes of air pollution, with gases such as nitrogen oxides and particles harmful to human health. Leaving an engine idling while stationary creates pollution and is usually unnecessary. 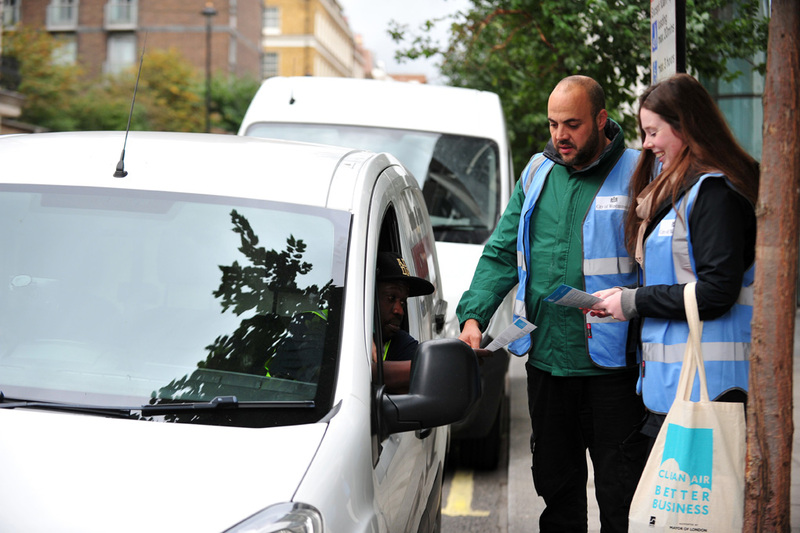 Putting a stop to courier, delivery and passenger vehicles idling is a simple step to help clean up the air that Londoners breathe. Members of the Marble Arch Street Team joined City of Westminster’s Cabinet Member for Sustainability, Councillor Heather Acton, to talk to drivers in George Street, Upper Berkeley Street, Great Cumberland Place and Seymour Street. Visit Idling Action for more information on the London-wide idling campaign.